The importance of pleading innocent | Jon Katz, P.C. The only way to know if a defendant will win is to go to trial. (Image from website of U.S. District Court (W.D. Mi.)). This month yielded another example of why it is critical to go to trial when the outcome from an innocent plea is not likely to be any worse than the outcome from a guilty plea. The cops found a handgun in our client’s parked car, and we entered a not guilty plea. I was ready with a flowchart to try to beat this case. Little did I expect that the prosecutor would help so much for us to win. The prosecutor did not exercise his option to ask the judge to permit a correction to the date on the charging document, even though I have seen prosecutors routinely succeed with date amendment requests many times over my objection (although there is a stronger argument against such amendments in mid-trial rather than before trial begins). If the prosecutor, instead, planned, to recharge the case against our client with a new and corrected charging document, that would not have worked, because jeopardy had already attached through the presentation of testimony from the first witness. Consequently, no further prosecution is permitted. U.S. Const. Amend. V; see also Maryland v. Taylor, et al., 371 Md. 617, 810 A.2d 964 (2002) (a landmark Maryland double jeopardy victory obtained by Maryland’s current Public Defender and our law firm). As an aside, while I waited for our case to be called, a colleague was curious about why I wanted to take this case to trial. 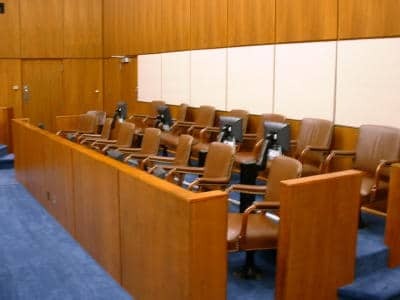 He seemed to think I was a curiosity that I advise my clients to go to trial when the likely outcome of an innocent plea seems no worse than the outcome from a guilty plea. When I e-mailed him about our victory in this case, he responded: "Congratulations on your victory! It will make me re-think my client’s options more carefully in the future." A lawyer and the client ordinarily must wait longer in the courtroom to go to trial than to plead guilty. I approach every case with the expectation to go to trial, and set aside the time accordingly both pretrial and in court. For any reason my client pleads guilty, the goal is to do so from a position of strength. Some prosecutors know I go to trial so frequently that they ask me if I even want to hear their plea offer. To this day, the exhilaration of winning in this and all cases is as strong as when I won my first criminal trial over fifteen years ago. Jon Katz.